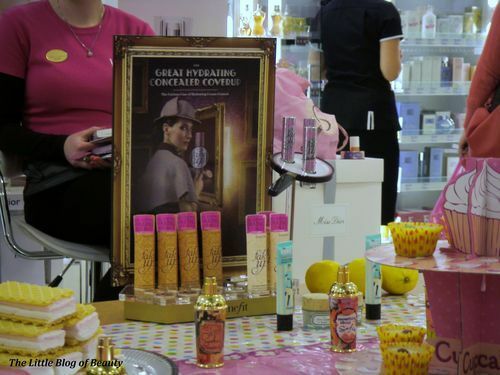 On Thursday I attended an event hosted by the lovely Benebabes from the Boots Broadmead Benefit counter which was to introduce Benefit’s latest product, Fakeup. I arrived a little bit early so was told to have a little browse around the Benefit counter as there would be a quiz later (I don’t need any encouragement to have a snoop around Benefit’s amazing products and cool packaging!). 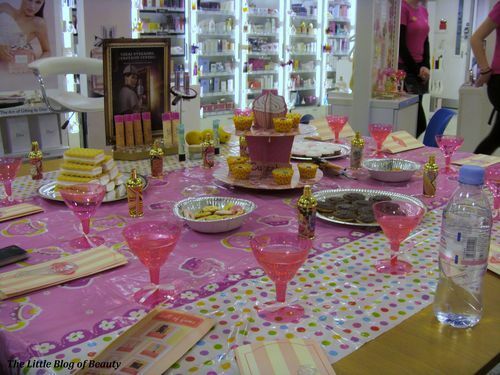 When a few more bloggers arrived we headed over to a pretty table complete with party type snacks and cute pink glasses. Despite how girly the table was it was obvious the stores security guard so wanted to join us! 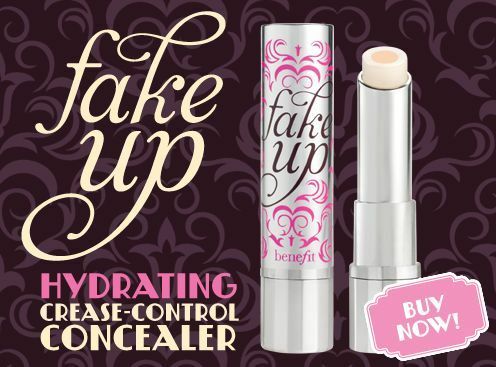 So I’m sure you will have heard about Fakeup but just in case you haven’t this is Benefit’s newest product which has been released today. Fakeup is a hydrating crease-control concealer which hides dark circles and diffuses fine lines with a silky smooth coverage. 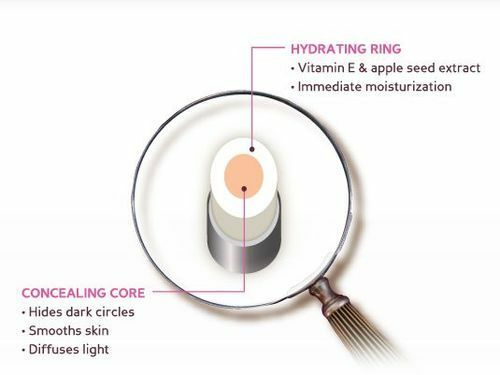 This contains a concealing core which is surrounded by a hydrating ring containing vitamin E and apple seed extract. It comes in 3 shades - light, medium and deep and is proven to keep skin hydrated for up to 6 hours. You can find out more about Fakeup on the Benefit website here. I didn’t manage to get any pictures of the actual product but have borrowed a couple from the Benefit website. 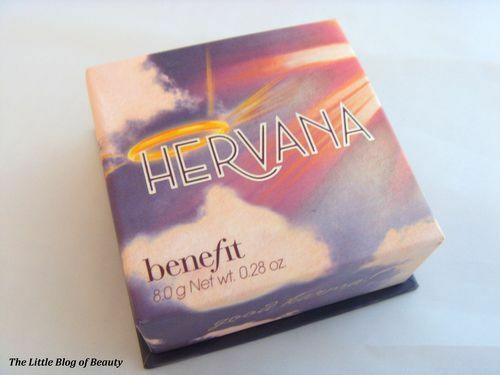 The packaging on this is gorgeous (which is certainly not unusual with Benefit products) and I love that the background used in their artwork kind of matches my blog theme! 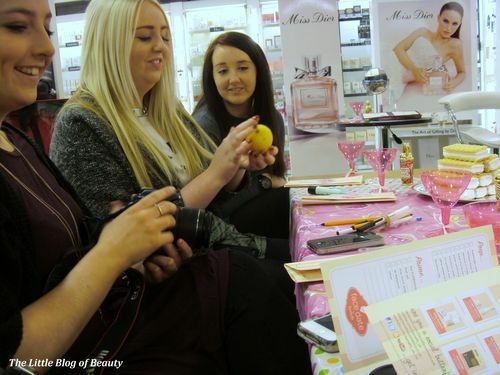 So first up the lovely Benebabes demonstrated how to use Fakeup. This is designed for use under the eye but can also be applied above the eyebrow (following the shape of the eyebrow and then blending) to brighten the whole eye area and can obviously be used on any other blemishes. Next up some lemon’s were handed out and we were asked to draw a line around each lemon. We then made the lemon’s beautiful by applying POREfessional to one half of the lemon. Ok so the real reason for this was not to make the lemon’s beautiful but to demonstrate the effect POREfessional had on the lemon’s pores. We were supplied with a little Benefit magnifying glass so we could see the effect up close. It was then quiz time. 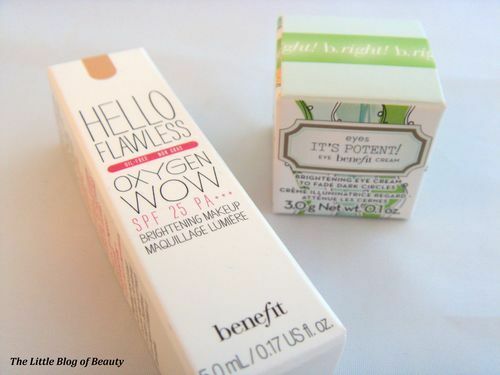 Did you know that every Benefit product has a Tag Line like films do? We were given the Tag Lines for 8 different products and we had to guess what product each one was from. 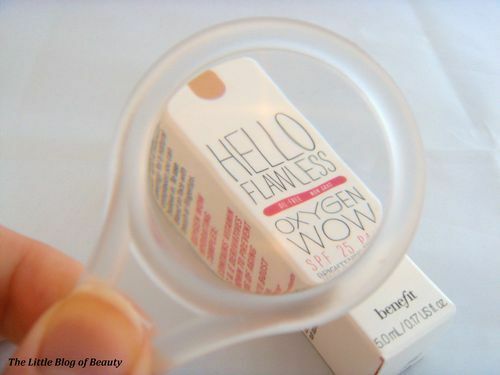 Unfortunately I didn’t do so well and only got 4 of the 8 correct but we were all rewarded with a sample of It’s Potent and Hello Flawless Oxygen Wow foundation. 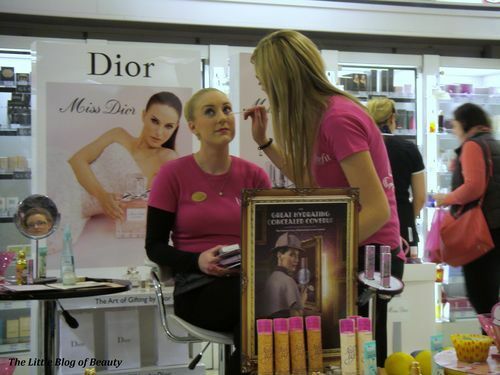 We were then told that 6 Fakeup’s had been hidden in the Benefit counter and we were split into 2 teams and given 5 questions each to try and narrow down where they may be hiding. After we had asked our questions there was a dash over to the counter (which I think amused the security guard who I believe was armed with a camera to capture the fun!). A bit of display disruption then ensued before 5 Fakeup’s were located. There was a bit of confusion while the Benebabes tried to work out where the last one may be before I was lucky enough to find it. Each person who found a Fakeup was then awarded with a prize, with mine being a lovely Hervana. 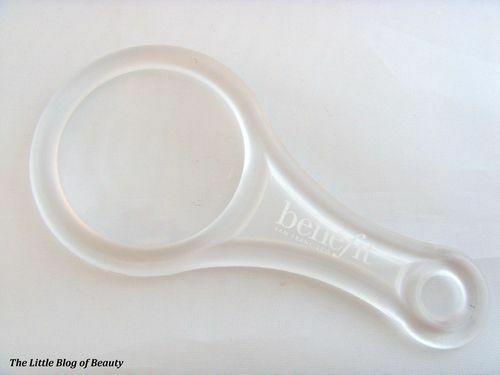 Finally, some bloggers had their brows filled in while we all had a browse around the samples on the counter and the Benebabes applied any products we wanted to try. I’m not sure if I’ve remembered the ladies names correctly (Lucy and Sophie?) but thank you for a lovely evening and the lovely products and blog posts will follow after I have given them a try.